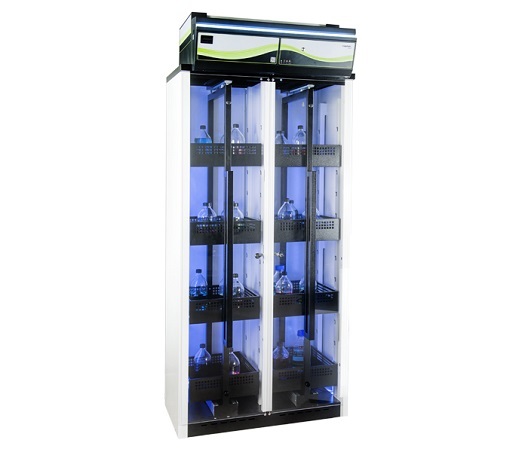 This ductless filtering chemical storage cabinet is equipped with exclusive Erlab filtration technology. It features Smart-Light technology which makes it easy to see that the hood is operating safely from light pulse notifications. Thank you for your interest in the Erlab Captair 834 Smart *NEW* Ductless Fume Hood (ID #: 17657). To speak with a representative, please fill out the contact form below or call us directly.